It's Monday and we have two new teasers for upcoming content going out on social media - a gif for Yorick's upcoming large scope champion update and a short video of a Baker Pantheon! Following the shovel teaser from last week, a gif of Yorick's rework showing off his updated model and ghouls attacking is circulating on Riot's social media! 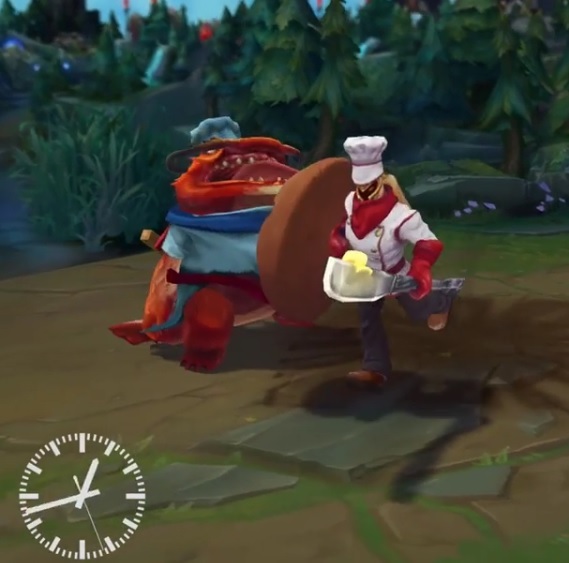 League of Legends' social media has also been buzzing with a short video showing off what appears to be a Baker Pantheon skin, in reference to his joke! From LoL Facebook:"My profession?! "You know, now that I think of it, I've always wanted to be a baker." - Pantheon"
From LoL Instagram: ""I've always wanted to be a baker." - Pantheon #leagueoflegends #baked"
With the usual timing of these sorts of social media teasers, keep an eye out for the start of the new 6.18 PBE cycle later this week!